This versatile external drive should be offered along with every iPhone, iPad, and iPod touch. 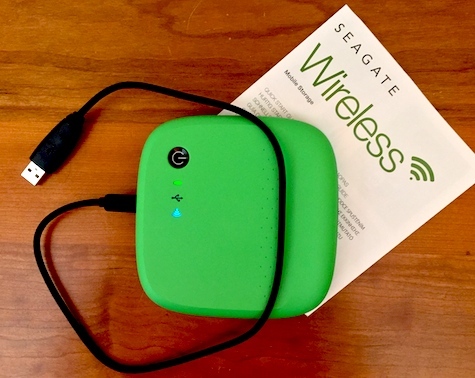 The Seagate Wireless is an attractive, affordable, full-service external storage device that adds enormous capacity to the limited storage on portable iOS gear. This colorful product has an unusual squarish shape with rounded edges, and a slightly-raised bottom area that facilitates hand-holding. 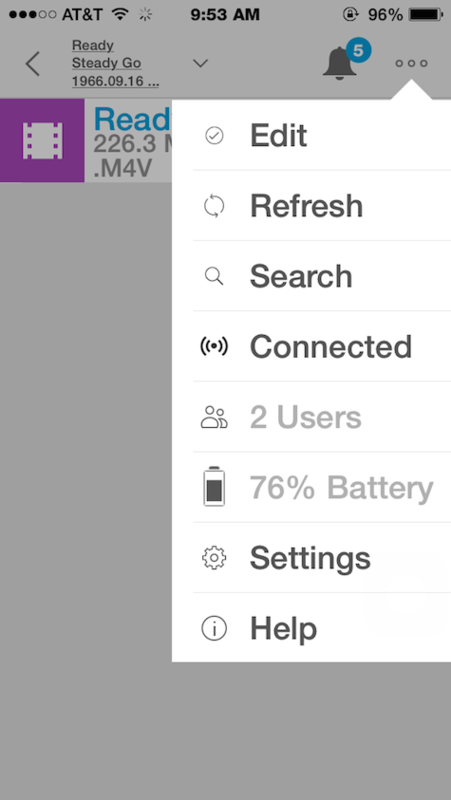 Add content to it, including MacOS folders (hooray! ), using the included USB2 cable, as you do with all external drives. Charge Seagate Wireless’s internal 6-hour battery via the cable and any standard powered USB port. 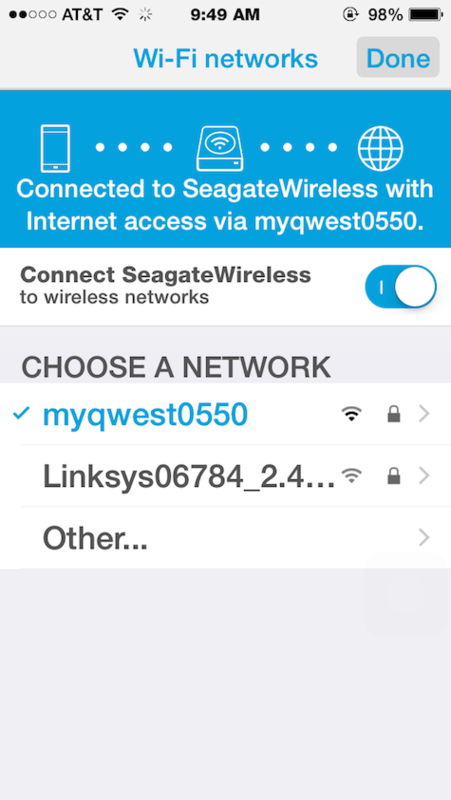 Connect the drive wirelessly to any Wi-Fi network via the free SeagateMedia iOS app. You will be spending a load of time becoming comfortable with and then using this unusual custom app. 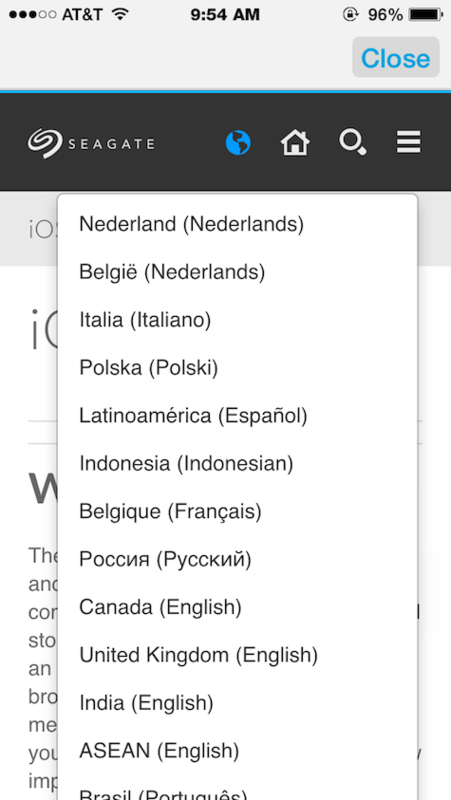 It won’t win any iOS design awards, but it works perfectly, and it includes a comprehensive User Guide available in a zillion different languages. Give yourself up to an hour the first time you set up and grab content from your Seagate Wireless (this is its full name). Eventually you will be able to navigate the app and enjoy your movies, photos, music, and other items stored on this little wonder. Study the user guide and contact company support for additional assistance. Up to three different devices can connect wirelessly to this innovative drive at the same time even when no Internet service is available, via the drive’s built-in Wi-Fi network. 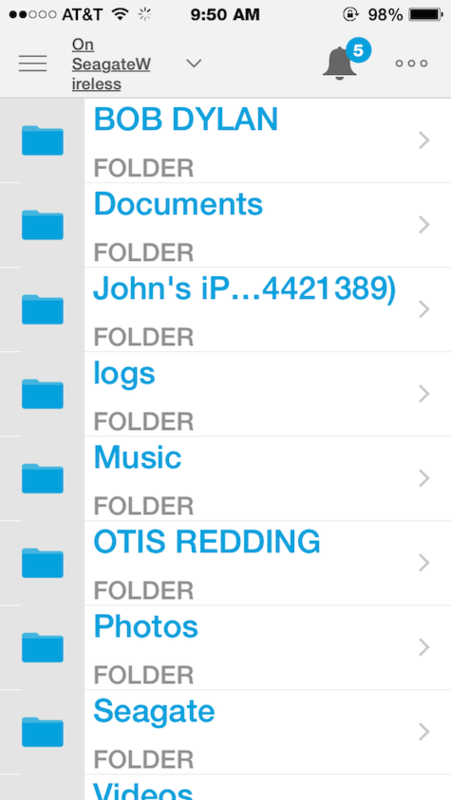 Automatic iOS Camera Roll uploads can be configured for effortless backups of your precious photos. Don’t confuse this 500GB product with the Seagate Wireless Plus, reviewed two years ago by Curt Blanchard here at MyMac. The Plus is available in three capacities, uses a different cable, has a generic appearance, and is more expensive for the same quantity of storage. Its app interface and operation are identical. 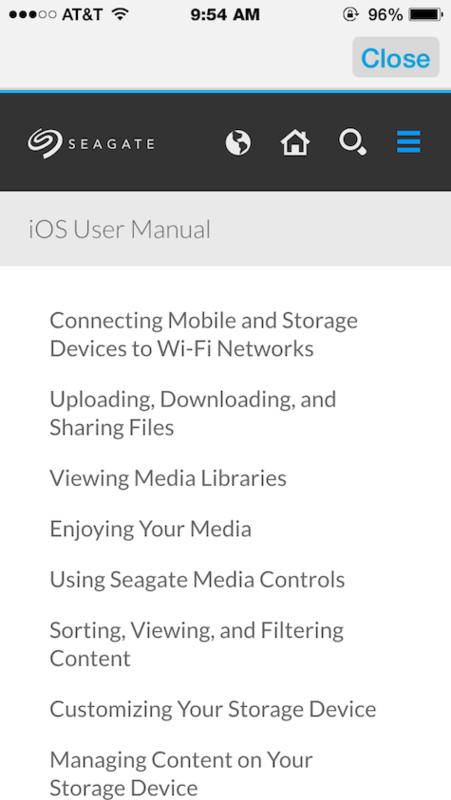 Once you are up and running, the new Seagate Wireless is your constant companion whenever the built-in capacity on your iOS equipment is insufficient for your personal, work, academic, and other purposes.